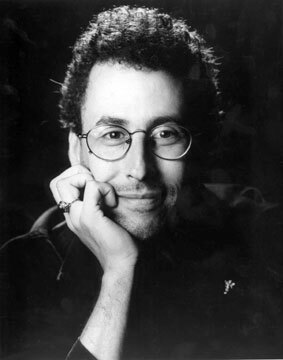 We have asked this on the site before: Where's Tony Kushner on this story? Our assumption is he feels too conflicted, too loyal to New York Theatre Workshop and to James Nicola personally (for producing not only Homebody/Kabul, but Slavs, and probably early career support). Our assumption is also that he would oppose canceling a play merely because it might give voice to the Palestinian cause and offend conservative Jews. I mean, this the guy Steven Spielberg went to to make Munich palatable. And he has pissed off his fellow Jews plenty of times himself. AND, most of all...we all know he loves a good political fight. The Oscars are over now Tony. Hope you had a good trip home and sorry you lost. But we need you on the record on this. I've heard vague rumors of him talking to Nicola in private. But if he's counseling reconciliation, Jim doesn't seem to be hearing him so far. At some point we'll just have to assume he supports NYTW's action. Or, perhaps worse, is suddenly indifferent to free speech in the theatre. And to open discussion of the Middle East(!). Unless--and here's my optimistic scenario--unless he all along has been secretly negotiating through back-channels some magic deal that will make everything ok! Not impossible. Think: if anyone had the cred and expertise on all the major issues here (downtown NY theatre, the London stage, politics & the arts, Jews & Arabs) it would be he. So we're waiting, Tony. Save the day. And save your favorite theatre company.